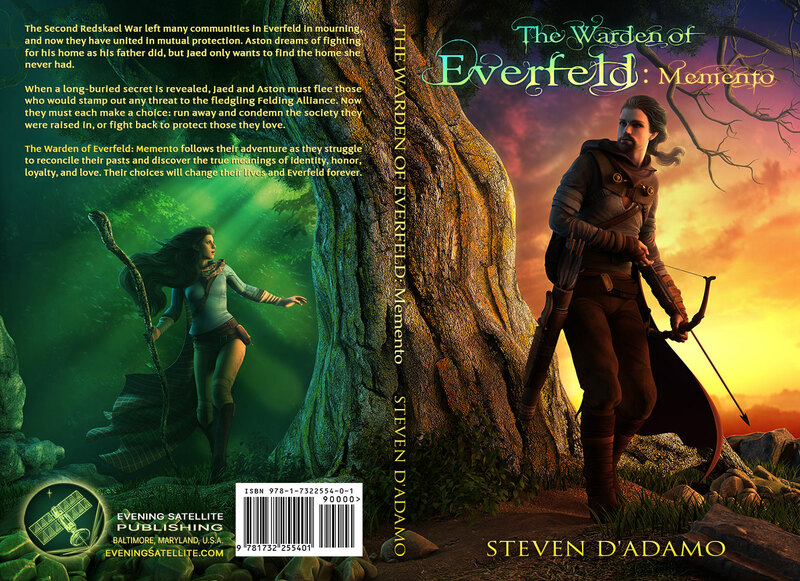 The Warden of Everfeld: Memento is being Published! The Warden of Everfeld: Memento, is published as of July 18, 2018! Details will follow below, but first, have a look at the gorgeous front-and-back cover for my book, illustrated by the gifted Sergey Velisser! I still cannot believe the level of detail and vibrancy that Sergey achieved in his artwork. Okay, I’ll stop gushing. Onto the details! Starting today, The Warden of Everfeld: Memento is available to pre-order on Amazon.com. Until July 17, the Kindle ebook will be available at a discounted rate for $2.99! If you wait until publication to purchase, you will see a slightly higher price for the Kindle version, so go secure your copy now! Stay tuned for further updates over the next month and beyond! Thank you so much! All credit goes to my illustrator and designer 🙂 He took my doodle on MS Paint and created a gorgeous cover.